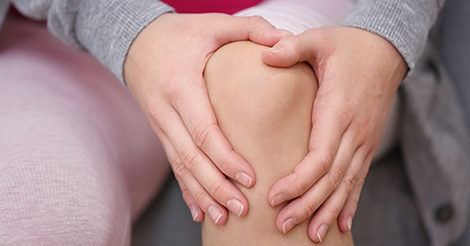 Osgood-Schlatter disease is a fairly benign condition that involves young athletes. It is an apophysitis (an inflammation of the growth center) at the top of the tibia where the patella tendon inserts. It is almost exclusively seen in athletes around the time of their growth spurt, although occasionally an adult complains of pain at a prominent Osgood-Schlatter’s ossicle that never completely resolved. Young athletes often complain of pain in the front of the knee, especially where the patella tendon inserts into the tibial tuberosity. He or she often complains that this area is larger than the other side. Often the athlete will complain of pain with sports, exercise, and even daily activities such as going up and down stairs and sitting for long periods of time. In the office, a sports medicine physician usually can diagnose Osgood-Schlatter disease fairly easily by exam and x-rays. Often the tibial tubercle will be more prominent than normal, and the athlete will have tenderness to palpation right at this area. X-rays often show fragmentation of the growth center at the tibial tuberosity. More detailed radiographic studies, such as MRI’s, are rarely needed. Treatment is almost always symptomatic. Usually a combination of any of activity modification, knee sleeves or patellar tendon straps, home strengthening exercises or physical therapy, stretching exercises, and ice usually relieve the symptoms. Very rarely surgical treatment to remove the prominent ossicle can be employed, although this is typically done more in adults. Return to sports and other activities can occur when the athlete is symptom-free.